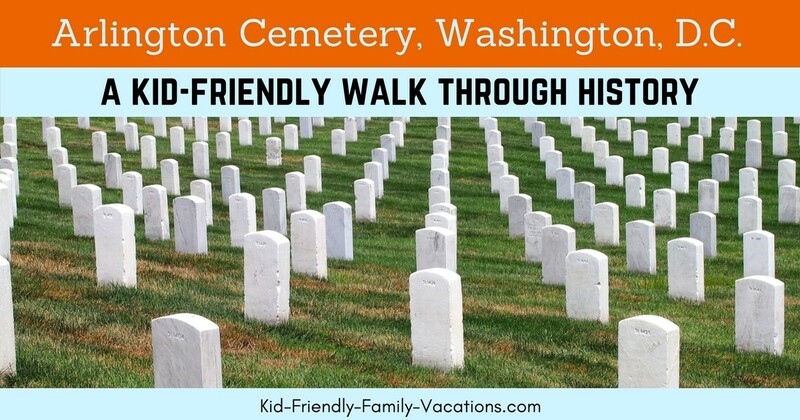 The Arlington Cemetery contains such an enormous amount of this nation’s history. This cemetery is the United State’s most treasured burial ground. 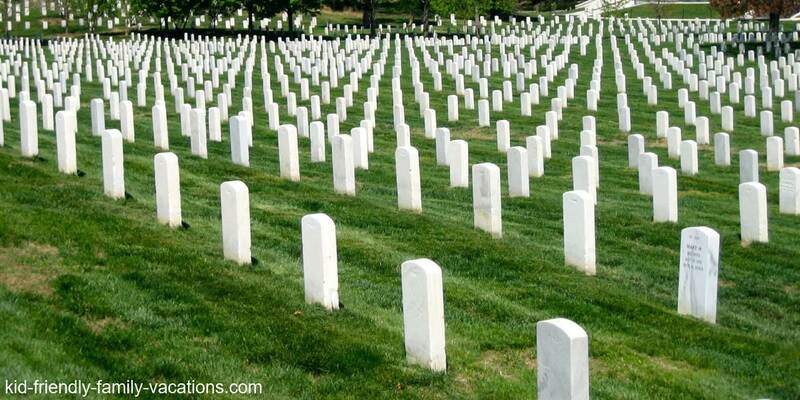 The Arlington National Cemetery is home to more than 285,000 honored dead. Our Family visited the Cemetery as part of our Family vacations several times over the years. On our first visit, the weather was cool, but clear…. so a walking tour of the cemetery was in order… the view of the city was beautiful from the cemetery. 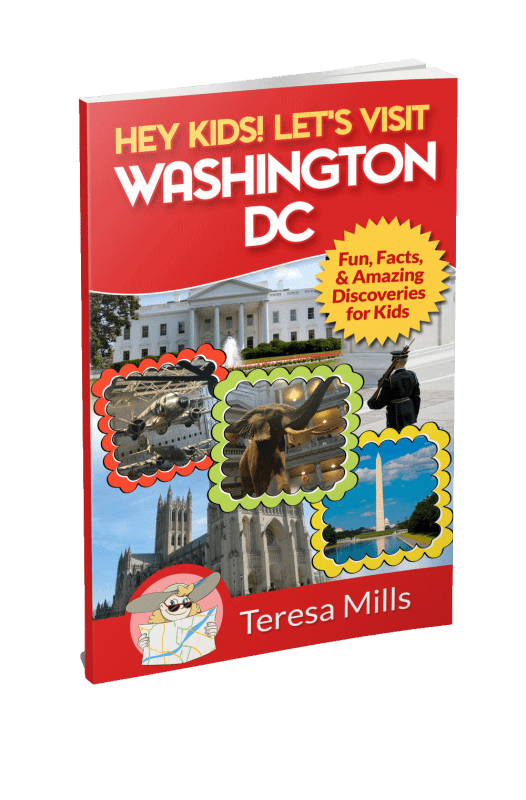 I was very interested in seeing the changing of the guard at the tomb of the unknowns at the Cemetery….. but on our way there, we saw the eternal flame of President John F. Kennedy’s grave, the Space Shuttle Challenger Memorial, and many other memorials throughout the cemetery. Visiting the tomb of the unknowns was a very moving experience. The Tomb is guarded 24-hours-per-day and 365-days-per year by specially trained members of the 3rd United States Infantry (The Old Guard). 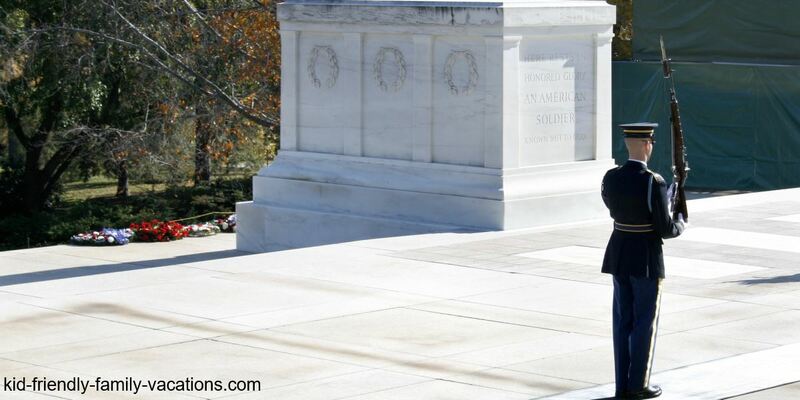 Their motto is… “Soldiers never die until they are forgotten, tomb guards never forget”. The cemetery was somber and very well maintained…. a beautiful site to visit. The walking tour is pretty extensive. It took us about 45 minutes to walk to the Tomb of the Unknowns from the visitors center. Another option is the bus tour that is available from the visitors center. There is a fee for the bus tour. 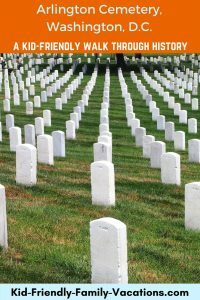 Here is a real nice interactive Arlington National Cemetery Map with clickable points of interest. The cemetery is open daily 8 am – 5 pm (to 7 pm Apr-Sept.). Admission is free. Visit the Visitor’s Center at the main entrance of the cemetery. 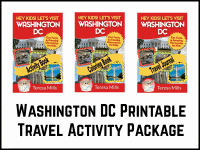 There you will find maps, guidebooks, and other information. Bus tours are available, but you are free to walk around the cemetery. 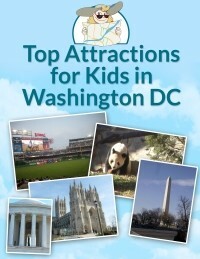 If on a budget, the walking tour is a great alternative, and gives you plenty of time together on your family vacations. Visit the Arlington National Cemetery web site for more information.